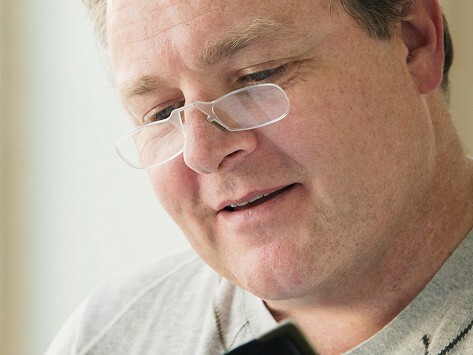 These durable reading glasses are as thin as two credit cards, easy to have on hand, and tough to leave behind. 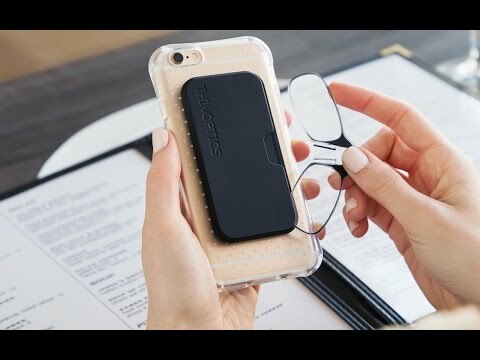 More compact and convenient than foldable reading glasses, this design has been pared down to just the lenses and bridge. They sit comfortably on your nose and stay there. When you’re done, slide them into the ultra-slim carrying case, which attaches to your phone or stays in your wallet, drawer, or glove box. Dimensions: Glasses: 4.5" x 1"; Case: 3.75" x 1"
Perfect. I purchased a second pair for my husband who keeps them in his wallet. Can I say, best thing since sliced bread. Less bulky than regular readers and case. Always with my phone for texts. Not good if you need to turn your head a lot, they can fly off!